Irrational Games has this week released the first in series of new videos that will provide an insight into some of the bigger foes you will meet within their upcoming BioShock Infinite game which is expected to launch in October 2012. 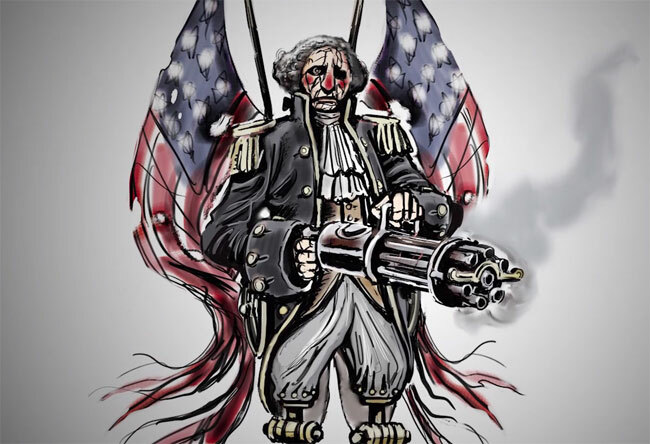 The new video shows a glimpse of a “clockwork terminator” style big hitter within BioShock Infinite called the motorizied patriot. The robotic motorizied patriot is equipped with a massive mini gun and is fearless and relentless in his quest. Watch the video to see Ken Levine of Irrational Games talk about the inspiration behind the creation. The BioShock Infinite sequel builds on the ideas of American Exceptionalism in the early 20th Century and is set in 1912. The game will be launching on October 16th 2012 in North America and internationally on Xbox 360, PS3, and PC on October 19, 2012, and is available to pre-order right now.